This 2007 Sun Odyssey 42i is a safe and comfortable sailboat perfect for a family holiday. Based in the old walled city of Dubrovnik, your family can enjoy a day exploring the sites from up above and looking down onto the mounds of tourists that flock this historic town every year. Then get on board and sail away to the Lopud, where the children can spend a carefree afternoon building castles on the sandy white beach while parents can spread their towels and immerse themselves in a good book. 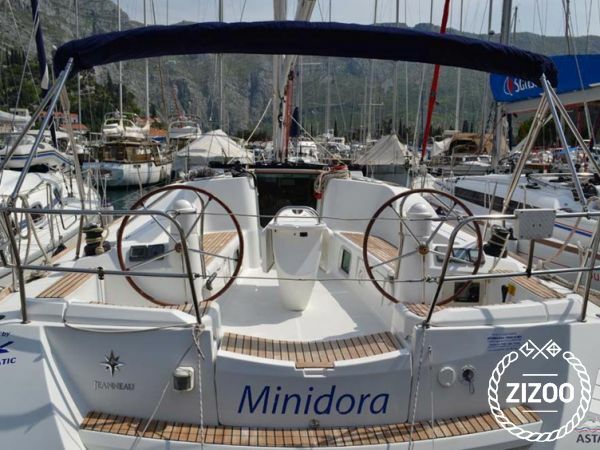 With 3 cabins that sleep 6 comfortably, a fully equipped kitchen and cosy salon, the Minidora is an ideal boat for a carefree and fun vacation. For destinations, routes and general sailing queries, don't hesitate to ask your friendly crew for assistance.